Is It OK to Smoke Just One Cigarette After Quitting? Is It OK to Smoke a Cigarette After Quitting? As ex-smokers are fond of saying, cigarettes travel in packs. The vast majority of ex-smokers who smoke one cigarette after quitting can't stop there and end up in a full-blown smoking relapse. If you decide to go ahead and smoke just one, chances are you'll be back to smoking as much as you used to before long. Don't kid yourself that you can control nicotine once you get a taste of it. It just doesn't work that way for nicotine addicts. The only way to keep the beast at bay is to keep nicotine out of your system. If you slipped and smoked a cigarette, recognize that you can easily relapse completely, but you haven't yet gone that far. Look for tactics to make it harder to take another smoke. Reach out to your social support. Don't let feelings of failure snowball until you give up on quitting. If you absolutely cannot shake thoughts of smoking and are worried you're about to cave in and smoke, stop everything. Sit down with a pen and paper and honestly answer the questions below. Or, answer these questions in advance and carry them with you to review when needed. Thinking back to the day you quit, how were you feeling about smoking? How many years did you smoke? How long did you want to stop? If you go back to smoking will you want to quit again? Will you wish you hadn't lit up? When will you quit again? Will it be weeks, months, years, or when illness strikes? What benefits will smoking offer you? 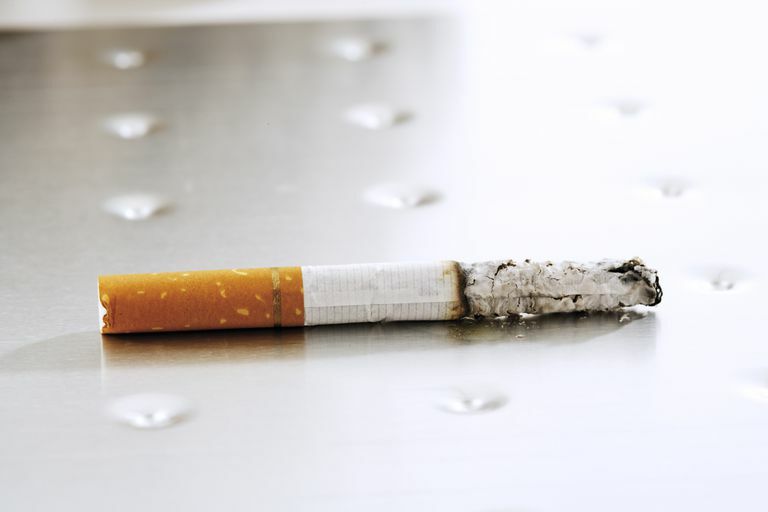 Is smoking now worth giving up all of the work you've invested in cessation? Will quitting be any easier the next time around? Taking an honest look at these questions and their answers will help you find balance when the urge to smoke seems so important that you're ready to throw everything you've worked for away and give in. Keep your memory green and don't lose sight of the reasons you quit smoking. They are no less true today than they were when you quit, but if you're not careful, they can feel less critical. When many people quit smoking they go through a fair amount of junkie thinking—the internal battle between nicotine addiction and themselves. Early in smoking cessation that dialog can seem relentless. The voice in your head trying to convince you to smoke is persistent, annoying and exhausting. This phase of nicotine withdrawal is temporary. The less attention you give to unhealthy thoughts of smoking, the better. But how can you do that? It's important to realize ahead of time that the mental contortions you're going to experience after you stub out your last cigarette are a normal part of the recovery process. Don't panic and think you're failing because you want a cigarette. Think of that inner chatter as a sign of healing, because that is exactly what it is. Time will lessen the pull of thoughts that trigger cravings to smoke. In the meantime, use distraction as a tool to jolt yourself out of a bad mindset as smoking thoughts come up. Create a list of activities you can do at a moment's notice so that you're not left struggling when the urge to smoke hits. Be proactive and know that with each urge you overcome, your brain is registering new ways of coping. In time, it will be easier to redirect yourself, and with more time, thoughts of smoking will lose their power entirely. Some days will be worse than others. Such is smoking cessation, and such is life. On days when simple distractions don't work and you're feeling agitated and unhappy, pull out a different list—one that details rewards tailored to your interests. Many people tend to neglect their own comfort in favor of the needs of others who are important to them. You put them first on the list, and while this is admirable, you must take care of your own needs, especially while quitting tobacco. Taking a long walk in nature with the dog. Give yourself an hour to soak in a long hot bath. Relax with a good book in a quiet room. Head to the gym for a workout and a swim. Schedule some time to work on a hobby you enjoy. Make your treats self-indulgent and guilt-free. You're working hard to recover from a tough addiction, and a little positive reinforcement goes a long way. If all else fails and cigarette cravings won't give you any peace, put your mind on ignore and go to bed earlier than usual. Tomorrow will be a better day. You can call or text the National Cancer Institute's quitline or sign up for their live chat, including a real-time link to a counselor. Even if you are not a person who likes to participate in forums or group support, stop in and take a browse through a smoking cessation support forum. Join an active community of people who are at all stages of quitting, and there's no doubt your motivation will be bolstered by what you read there. The truth of the matter is that smoking offers you nothing of value, and that empty feeling you have that smoking used to fill will go away in time...as long as you don't smoke. Recovery from nicotine addiction can feel like it will never end, but that's just not true. It does take time to reprogram old associations, but it doesn't take forever. Be patient with yourself and allow the healing process to take place, regardless of how long it takes. Nurture and protect your quit program because it's the path to the healthier and happier life that you deserve. How Long Can You Expect to Face Nicotine Cravings? Why Is Monday a Good Day to Quit Smoking?